ASUS France says Eee Pad Transformer 3.2 update is "days away"
ASUS' runaway hit, the ASUS Eee Pad Transformer is one of the hottest tablets available and for good reason. 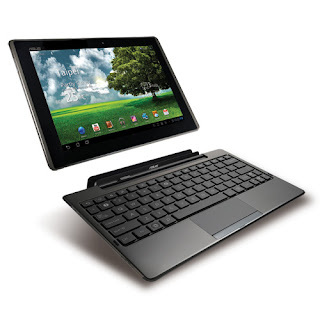 The Transformer stood out from the crowd with its unique ability to convert from a tablet to an Android based Netbook and bottom of the barrel prices without compromising quality. Add to this the fact that ASUS has clearly shown that they are committed to bringing the latest updates to their Android tablet in a timely manner. It's not a surprise that ASUS is claiming it's the best selling Android Tablet. ASUS France's official Twitter account announced the Android 3.2 update will be hitting Transformers in just a "few days". We can't wait.